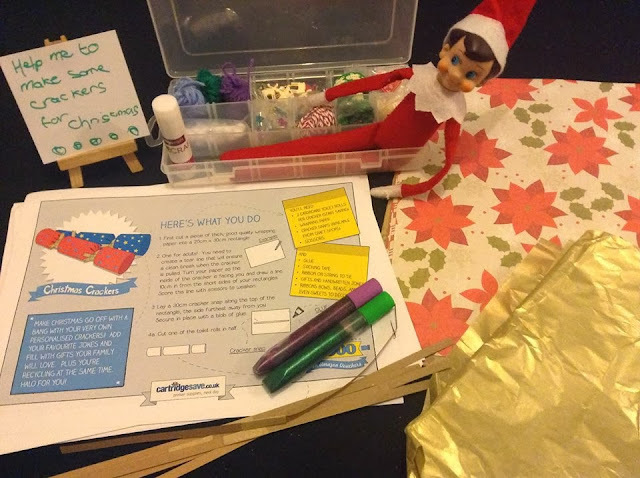 The Mini Mes were really excited at the weekend to discover Peppy Tum-Tums, our Elf on the Shelf, sat on the table surrounded by craft materials! 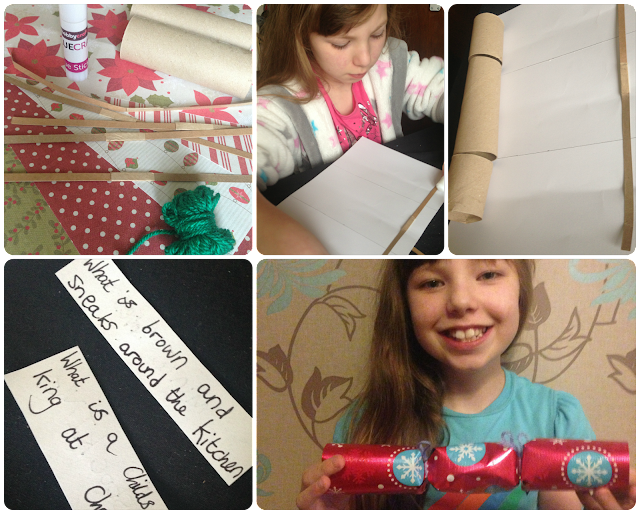 There were sequins and glue, toilet rolls and snaps - everything for making crackers and more. With the free printed activity sheets from Cartridge Save, which are ideal for low cost family festive fun, we began our homemade crafts. 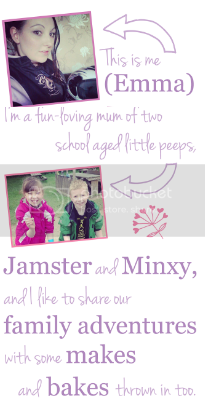 You can find the instructions by printing off the free sheet from the website. Minxy selected the jokes and wrote them onto some strips of paper. We popped these inside each cracker with some gold coins and sequins. The tutorial for the crackers was easy to follow, although we had some difficulty with the thick wrapping paper ripping when twisting it so we opted for a thinner alternative and scoring the paper differently. 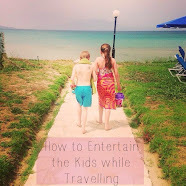 They were a lot easier to make than I had thought! We also made a simple card wreath. We cut out the leaf template from the website and drew around it on red and green coloured card. The wreath circle was made by drawing around 2 bowls of different sizes. What festive crafts have you been making? we have been making al-sorts, cards, snow scenes, flower holders, stars with a message on, I have kept them quite busy. 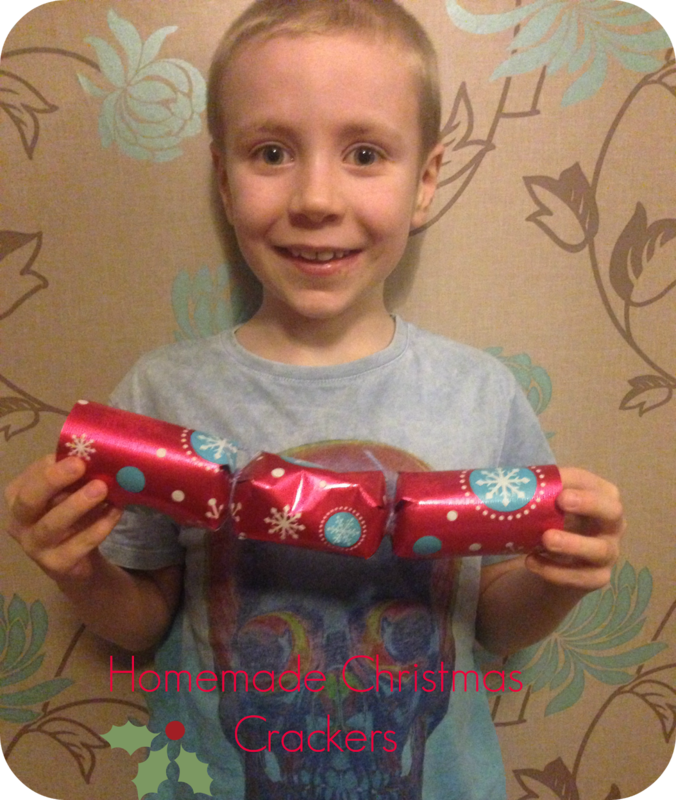 We are doing crackers this week as well.